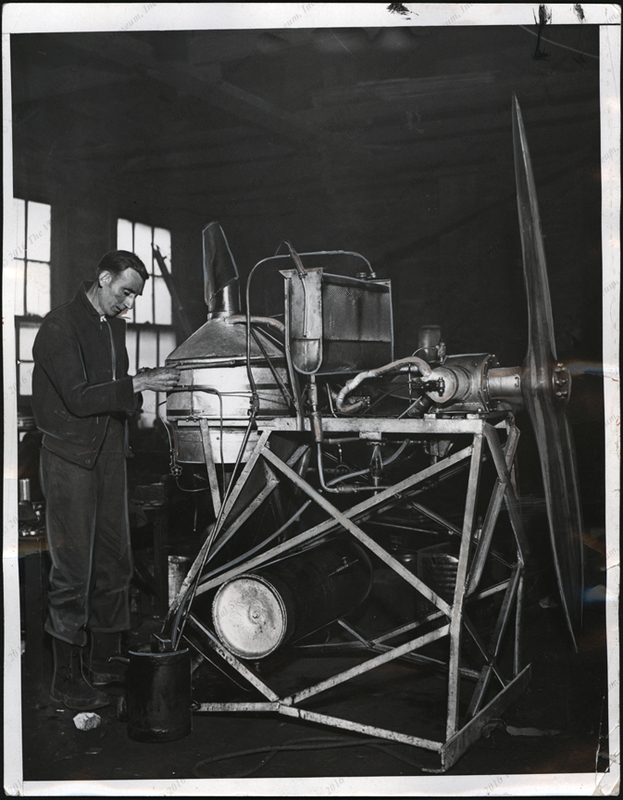 This Acme Photo shows Harold C. Johnston of Akron, OH working on his steam powered areoplane engine in November 1932. This Acme press photograph is dated Novmeber 18, 1932. Harold C. Johnston is working on his steam areoplane engine. 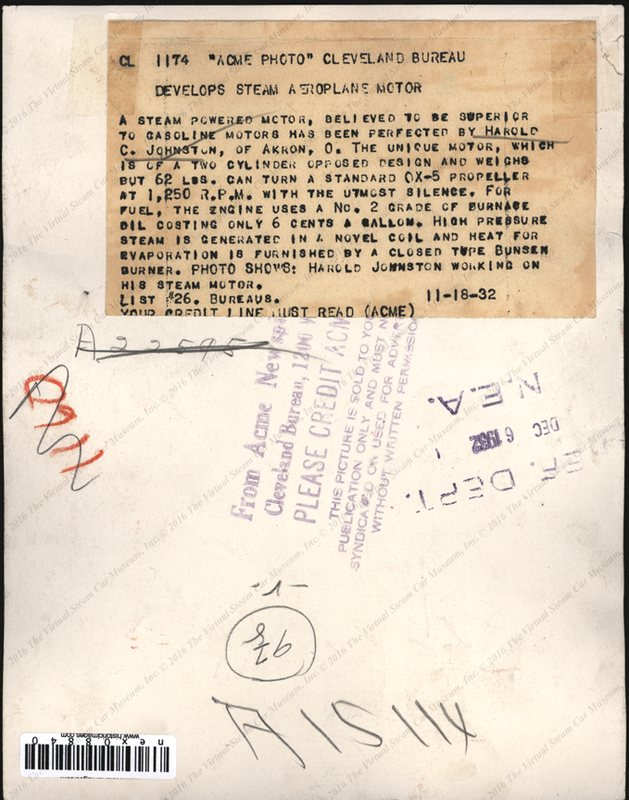 Contact us if you have additional information about Harold C. Johnston and his steam areoplane engine, or if you have questions.